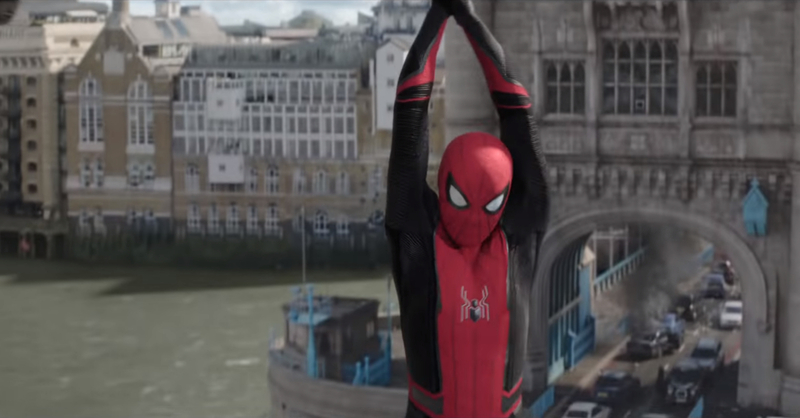 Home Comics The Spider-Man: Far From Home trailer is here! Hooray for Mysterio's fishbowl helmet! Marvel has released quite a lot of trailers lately, from the second Captain Marvel trailer to the Avengers: Endgame teaser. Marvel doesn’t want to stop there it seems as it just released the first teaser for Spider-Man: Far From Home! Far From Home’s first teaser featured lots of interesting tidbits about the film’s story and characters; be it Aunt May and Happy’s implied past fling, or Nick Fury teaming up with Spidey himself. What’s great about the trailer is that while it gives us a good look into the movie, it doesn’t spoil the story all that much (aside from the fact that Peter comes back to life Avengers: Endgame it seems). The most exciting thing about the trailer is Mysterio. While he was first shown sans helmet (Marvel has to show off Jake Gyllenhaal after all), near the end of the teaser we get to see Mysterio in his full costume, including his fishbowl helmet! And it looks really good! The trailer showed Mysterio fighting off what seems to be Hydro-Man, but we’re willing to bet that his heroics are just an act (think Syndrome from The Incredibles). After all, Mysterio did do the same in the comics a couple of times. Spider-Man: Far From Home will be released on July 5, 2019 in the US. A Philippine release date will be announced soon. Previous articleDota 2 Arcana are up for grabs at the new ZBT Gaming Community!